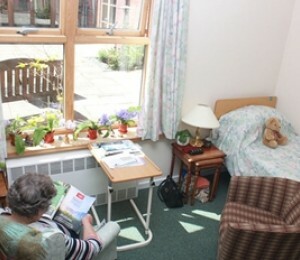 Situated north of Northampton, Brampton View provides nursing, residential, dementia, and palliative care and is set in the tranquil surroundings of Chapel Brampton. The care home is a warm and inviting residence surrounded by beautiful countryside and close to local attractions and amenities. With bedrooms divided between residential, nursing and dementia care units, professionals think carefully about the type of room each resident needs. Bedrooms are set across two floors and each floor has two of its own living and dining rooms. There is also a well-stocked library, meaning peace and quiet is never very far away. All furnishings and décor throughout the home are of an exceptionally high standard. Landscaped gardens wrap around the building, providing numerous areas for relaxing and socialising outdoors. There is a secure garden for residents of the dementia unit to enjoy. The home provides high-quality food, prepared on-site to give residents choice of a daily menu. Special dietary requirements will be catered for. Dedicated activities staff plan a range of events, consulting with residents and relatives to make sure this appeals to everyone. This involves a number of in-home activities as well as regular excursions. Care workers understand that moving into Brampton View will be a considerable transition but it is one they try to make feel as easy as possible. By helping residents arrange their room just the way they like, or bringing their daily newspaper, staff do the little things that make the biggest difference. All our rooms are en-suite with walk-in showers. There's also a flat-screen TV and DVD player for enjoying your favourite programmes or watching a film in the privacy of your room.